Laser Hair Removal is the most popular choice for men and women everywhere who wish to do away with the perils of shaving, waxing, tweezing and other hair removal practices. 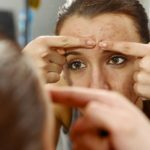 There are tons of reasons to go ahead with the treatment, as pointed out by MedSpaUtah.com. Let’s continue taking a look at some of those reasons shall we? Low Maintenance. For the most part, we all have to shave on a regular basis. For some guys I know, “regular basis” means every single day! For us ladies, you’re looking at a weekly routine – if you’re lucky. Once you’ve received Laser Hair Removal, however, you’re looking at a life that requires much less maintenance. According to MedSpaUtah.com, once you’ve gone through your first 6 to 8 Laser Hair Removal treatments, “most people only need a maintenance treatment every six months to remove stray hairs.” Imagine not having to even think about removing unwanted hair more than twice a year! Sounds good to me. Saves Money. By now, it goes without saying that Laser Hair Removal is going to save you some cash big time. Not only are you no longer investing in those hair removal products I mentioned earlier, but you’ll also be able to save on those creams used to ease the irritation that comes as a result of those hair removal practices! Virtually Pain Free. This is one that I happen to like a whole lot. I wince every time I even think about the “pluck” that comes along with tweezing those loose little hairs here and there. Needless to say, razor burn and razor bumps are no fun either. The laser technology used to remove hair permanently, however, is almost pain free and fairly comfortable. Harmless to Skin. As MedSpaUtah.com points out, “unlike other hair removal treatments, laser hair removal does not (normally) cause any harm to your skin. On the contrary, this treatment makes your skin smoother and can help decrease pigmentation and ingrowth.” My friend Linda once remarked that her store-bought hair removal cream “burned” her. Of course, unless the treatment is performed by an experienced and well-trained medical professional, lasers can definitely harm the skin. 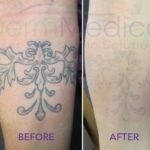 Laser skin burns are a common occurrence with untrained practitioners so be careful about who you choose to perform your laser hair removal treatment. Comfortable. MedSpaUtah.com notes that “the lasers used for hair removal are fitted with cooling systems to provide additional skin protection, making laser hair removal a more relaxed experience.” Laser Hair Removal is very safe, almost pain-free, permanent and cost-efficient. How many more reasons could you need?